Realists grow stronger when criticized about human rights and on ethical grounds, because such criticism gives realism the opportunity to proclaim its alleged value-free condition. This article appraises Realism from a human rights perspective. The first section introduces the conventional view according to which realism, with its focus on the state, material power and international anarchy, would dismiss the idea that human rights could matter at all in global politics. The second section provides an alternative perspective. There are at least three ways in which human rights can survive and indeed flourish in a world guided by classical realist parameters. I contend, first, that realism creates the space for a political critique of international law, which helps us understand the political reasons why certain claims get framed in the language of human rights law. Secondly, realism advises restraint in the use of military force, leading potentially to better human rights outcomes. Finally, realism can also allow us to theorise about a certain idea of order guided by international rules defined by states themselves. Realism attempts to explain the satisfaction of predetermined national interests in an anarchic world based on the autonomy of politics and from a consequentialist ethical perspective. To put it another way, for realists the state has a unitary character, politics and ethics belong to different realms, and whether an act is right or wrong depends on the result of the act itself. Understood as such, realism is frequently perceived as hardly compatible with a genuine moral commitment to normative positions as those reflected in the idea of human rights. In general, realists are strongly sceptical about international law (Morgenthau 1940; Krasner 2002), and about the international proclamation of one ‘moral code' over potentially conflicting others (Morgenthau 1948). In their view, it is unwise to judge other states' actions from a moral perspective (Morgenthau 1979; Kennan 1985). States would be reluctant to accuse each other of human rights violations because they could be accused of the same thing in reciprocity, and their sovereignty would be undermined as a result (Krasner 1993, 164). For realists, normative values and international regimes do not have power in themselves. The proclamation of human rights lacks analytical or explanatory value to account for state action. Hence, international human rights law (IHRL) does not deserve much attention. After all, IHRL is an international regime made of normative values. An international regime matters only insofar as it reflects the pre-existing ‘distribution of power in the world' (Mearsheimer 1994/95, 7), and norms get subsumed ‘in the material structure of the international system' (Mearsheimer 1995, 91). In other words, for realists, either the international human rights regime does not make a difference, so states will not be really bothered about it; or it does make a difference, but only as one more tool at the hands of the strong to impose their hegemonic power over the weak. Realism is present among legal scholars. 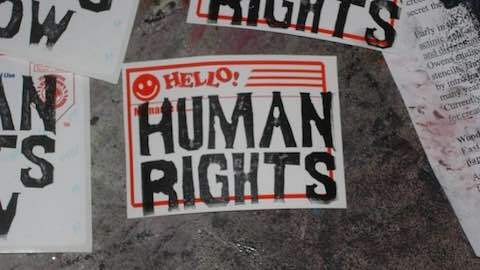 For legal realists, the proclamation of human rights in international law has very little connection with the actual improvement of human rights around the world, which has more to do with more interdependent trade relations and with the end of the Cold War. It is true that liberal democracies keep drafting, signing and ratifying human rights treaties, but in their opinion, this is only because they can do so at a very little cost, and the opposite would make them look like ugly outliers, since most other countries would not disembark from the international human rights regime (Goldsmith and Posner 2005, ch. 4; Posner 2014). Realist scepticism towards the international proclamation of human rights has also reached the shores of scholars sympathetic to the idea of human rights, for whom realism would not have much to offer. For Michael Freeman (2002, 131), for example, ‘realism can explain the neglect of human rights by states, but it can explain neither the introduction nor the increasing influence of human rights in international relations'. And Landman (2006, 44) writes that under realism states only allow human rights norms to emerge and develop ‘to gain short-term benefit and raise international legitimacy while counting on weak sanctions and largely unenforceable legal obligations'. With sporadic exceptions (like Schulz 2001 and Mahanty 2013), for most human rights academics and practitioners realism remains anathema and realists are seen as intellectual adversaries. The narrative above remains the general view about realist thinking on human rights in global politics. This view is very much spread within and beyond realism. Yet, I believe an alternative realist reading of human rights is possible, particularly within the more classical and pre-Waltzian realism (before the 1970s), less constrained by the international structure and more interested in counter-arguing what was seen as reckless idealism. The dialogue is not only possible with authors long gone, like E. H. Carr, who adopted an ambivalent position about the marriage between ideals and power: ‘The characteristic vice of the utopian is naivety; of the realist, sterility' (Carr 2001, 12). Well-known contemporary realists have also made the case, albeit feebly, to let human rights into the equation of hard politics. From the United States, both John Mearsheimer (2014) and Stephen Walt (2016) have sustained that abuses committed by American forces abroad pose a serious risk to national security, and that the best strategy to promote democracy and human rights abroad is to do a better job at protecting them at home. Realism and human rights stem from very different starting points, but they do not necessarily speak untranslatable languages. Their respective positions and agendas are not intrinsically irreconcilable. The next paragraphs will give examples in three areas where human rights analysis and advocacy could benefit from some realist thinking. Liberals assume that the legal system regulates behaviour within the political system as a whole. This premise is not shared by one of the most influential legal realists of the 20th century, Carl Schmitt. Realism reminds us that the legal and the political spheres do not match inside out. Without a doubt, Schmitt's anti-Semitism and proactive support of the Nazi regime make him an unlikely reference in any paper on human rights. Notwithstanding the foregoing, Schmitt's representation of sovereignty as the power to decide over the confines of the rule and the exception is particularly enlightening to understand the retrogression of human rights during the so-called War on Terror (see Agamben 2005). At the very least, Schmitt should be read by human rights defenders to get a grip of the discourse that rapidly spread throughout Western countries after September 2001. This discourse is still very vivid today, and within it some have justified the use of torture against presumed terrorists, advocated the restriction of the freedom of movement of foreigners, and came up with a new category of fighter, the so-called enemy combatant, to whom international humanitarian law would not apply. The underlying idea, Schmitt taught us, is that society's enemies should not enjoy the rights and benefits society bestowed upon itself. The enemy manages to get into the political sphere but remains outside the legal one. Schmitt denounced the alleged depoliticisation of liberalism, which pretends that morality is not a debatable issue and proclaims supposedly superior universal values applicable at all times and everywhere. Echoing the 19th century French anarchist Pierre-Joseph Proudhon, Schmitt famously warned that ‘whoever invokes humanity wants to cheat' (2007, 54). One must think critically about the political reasons why certain ideas manage to resonate in international law, while others do not. In other words, legal realism invites us to explore the politics behind international law. The Finnish legal scholar Martti Koskenniemi (2005) offers interesting insight on this. For him, international law in general, and IHRL in particular, is a double-edged sword that serves two opposite purposes at once, ‘from Apology to Utopia', as the title of his book goes. On the one hand, international law is based on states' will and has the virtue of concreteness, but when it is too closely related to actual state practice, and fails to create new obligations for states, it becomes ‘apologetic' of existing power, providing an excuse or a justification for it. On the other hand, international law constitutes an ideal or a plurality of ideals of state behaviour, and it can assert the autonomous normative power of the law; its potential vice, however, is that it risks being ‘unreal' if it remains too disconnected from actual practice. Extracting the meaning of human rights from international law is therefore an exercise of ‘hegemonic contestation', where international actors, including state officials, publicists, international NGOs, etc., ‘routinely challenge each other by invoking legal rules and principles on which they have projected meanings that support their preferences and counteract those of their opponents' (2004, 199). Koskenniemi chooses the word ‘hegemony' in its Gramscian sense to refer to the predominance that requires force as much as consent and is the result of an ideological battle to set a moral direction. Nevertheless, institutions necessarily confine the contestation. One must beware that from the very moment human rights get institutionalised, they are subject to the constraining effects of international law, where states are still the main gatekeepers. As long as international law remains the law states agree upon (apart from the interpretation, over which they do not have full control), it will be by definition limited in terms of emancipatory potential for the powerless and right holders at large. This is what Stammers (2009) refers to as the ‘paradox of institutionalisation', or what Koskenniemi calls the ‘colonisation of political culture by a technocratic language' (1999, 99). The reflective exploration of the politics and the hegemonic contestation behind international law can shed light on the international legal distinction between civil and political rights (CPR: freedom of expression, right not to be subjected to torture, fair trial, etc.) on the one hand, and economic, social and cultural rights (ESCR: right to housing, right to health, right to education, etc.) on the other. While both sets of rights are recognised in international law, the fulfilment of ESCR is meant to be achieved ‘progressively' depending on ‘available resources', in the language of Article 2(1) of the 1966 International Covenant on Economic, Social and Cultural Rights. No such strings are attached to the International Covenant on Civil and Political Rights, adopted the very same day. Albeit imperfect, a number of mechanisms have existed for decades to monitor compliance with CPR on individual cases both at the global and regional levels. However, individual complaint mechanisms on ESCR are newer and more inexperienced: the UN Committee dealing with ESCR issued its first decision in summer 2015, while the one on CPR examined the first cases in the late 1970s. They are also weaker: the European Court of Human Rights bests the European Committee of Social Rights in budget, number of cases heard per year, level of compliance by states, and pretty much any other possible variable. The types of violations examined are also more limited: among ESCR, the Inter-American Court of Human Rights can only know of violations of union rights and the right to education, while its mandate is not constrained in relation to CPR. That said, international law could also be counterproductive for social justice. On the one hand, international law is meant to have universal appeal and enjoys the good standing of governmental level commitment. On the other hand, some advocates may not feel entirely comfortable with the potential trade-offs of working for material equality, fair taxation and collective bargaining within the confines of international law. Campaigns may lose out if they depend too much on international treaties drafted and negotiated by powerful elites, court rulings concerning individuals and perhaps even isolated cases, and well-intentioned reports by unaccountable UN experts published in Geneva or New York. The revolutionary strength of these tools is considerably limited, and they are unlikely to energise individuals and communities left out from an unfair distribution of global resources (find an insightful debate on this in the volume edited by Lettinga and van Troost 2015). When drawing their strategic priorities, social justice advocates may prefer to stand behind a radically leftist candidate than to spend their resources on policy papers about the legal meaning of Article 2(1) of the International Covenant on Economic, Social and Cultural Rights. ESCR remain second-class rights in international law, and there are not theoretically compelling reasons to explain it. The reasons have to do with the Cold War context in which IHRL emerged, but also with the fact that most Northern human rights NGOs only started to work on issues related to ESCR in the 21st century. In other words, the reasons are political. Human rights analysts could use some realism to unravel the politics behind the different form of institutionalisation of ESCR and CPR in international law, but also to reconsider the pitfalls of IHRL-based advocacy for social justice. Realists see states as functionally equal. For them, states' relative power vis-à-vis each other does not depend on their role in the system, but on their economic weight and military strength. Taking functional equality as a given, realists are particularly interested in the balance of power. Realism is static, prone to the status quo, suspicious of change. In one word: realism is prudent. Realism is best read as a cautionary ethic of political prudence rooted in a narrow yet insightful vision of international politics. […] A defensible realist ethic is perhaps best seen as a warning against the inappropriate application of moral standards to international political action. Considering its prudence in international affairs, realism may prove most valuable in making sure that we exhaust all available resources before going to war. And this matters because nowhere are human rights more at peril than on the battlefield. Realists would not use moral arguments to oppose military interventions, but they can become tactical allies on a case-by-case basis. For example, Morgenthau (1965) was an ardent critic of American intervention in Vietnam, which he saw as ‘delusional' because both the US and the Soviet Union had comparable strategic interests in South East Asia. And nearly four decades later, Walt and Mearsheimer (2003) challenged the extended view that Saddam Hussein posed a threat to American interests and that a military intervention was therefore unavoidable; in their opinion, Iraq was ‘an unnecessary war'. Since the 1990s, liberal interventionism has taken hold within a big part of the global human rights community. Liberal interventionists pushed the agenda of the use of force to pursue humanitarian goals like democracy promotion. Liberal interventionists were also behind the idea of the ‘Responsibility to Protect' (R2P), initially formulated by an independent group of experts gathered in Canada (ICISS 2001), and partly embraced later in the UN World Summit Outcome of 2005 (UN General Assembly 2005, A/RES/60/1, para. 138-9). There is no single definition of R2P, but the bottom line is that humanity as a whole has a shared responsibility to protect civilians, militarily if need be, in case of serious human rights violations, like genocide, war crimes and crimes against humanity. For some R2P-promoters, this global responsibility would outplay other legal obligations, including the procedural requirements of Chapter VII of the UN Charter, which regulates when and how the UN Security Council can decide on the deployment of armed forces to restore international peace and security. This means that governments should feel legitimised to send their troops to countries where serious human rights abuses are taking place, even without a clear mandate from the Security Council. Although this possibility was envisioned by the ICISS, the UN General Assembly made clear in the World Summit Outcome Document that R2P could not bypass the UN Charter. With the Rwandan genocide of 1994 still in mind, a number of observers felt compelled to justify NATO's intervention in Kosovo in 1999, despite the Security Council's failure to authorise it due to the Russian veto. For some, Kosovo would be one case only. For others, however, it would pave the way to other interventions. For example, Michael Ignatieff (2003), who had been part of the group of experts that came up with the idea of R2P, publicly defended US and British intervention in Iraq on humanitarian grounds. The R2P would later be explicitly mentioned in UN Security Council Resolution 1973 (2011) that authorised NATO's operation in Libya, which ended up in regime change. Considering the persistent instability in the country and in the region, President Obama would later regret the American decision in relation to Libya (Goldberg 2016), which pushed him not to intervene against President al-Assad in Syria, even though credible reports confirmed that he had used chemical weapons against defenceless civilians. For two decades, part of the human rights community has relied excessively on the military. The lessons from Iraq and Libya do however suggest a change in course. Human rights advocates may prefer not to recommend the use of military force in the future. And with their stress on national interests, balance of power and prudence, realists may march by their side on this. H. Carr wrote his Twenty Years' Crisis (2001) to warn about what he saw as an excess of wishful thinking among the idealists of the inter-war period. Yet, he did not dismiss ideals and morality entirely. He only advocated framing them within a political structure defined mostly by national interests. Realism allows for a nuanced view of international law as the product of a pluralist international society. This was basically the idea put forward by Hedley Bull and the first generation of the English School of the 1960s and 70s, which Fred Halliday (1992, 438) liked to call ‘English Realism'. The English School accepted the realist premise of the logic of anarchy, but claimed that an international society can emerge out of that anarchy. Bull sees an international society ‘when a group of states, conscious of certain common interests and common values, form a society in the sense that they conceive themselves to be bound by a common set of rules in their relations with one another, and share in the working of common institutions' (2002, 13). Order would be the axis of the international society. Bull defined order as ‘a pattern that leads to a particular result, an arrangement of social life such that it promotes certain goals or values' (2002, 3-4). Order would be highly desirable because it is ‘the condition of the realisation of other values', including justice (Bull 2002, 93). Order is not necessarily states' only goal, but it must outdo justice insofar as its maintenance is the primary goal. Other goals can be pursued as long as order is not put at risk. One can indeed see international law as part of a certain idea of order in international society. Carl Schmitt himself defended this idea in The Nomos of the Earth (2006), where he contended that, at least since the 16th century, international law has derived from the progressive expansion of a Eurocentric notion of nomos, order, from the freedom of the seas, to the international law of armed conflict and the notion of state sovereignty and non-intervention. States may negotiate, draft and ratify international human rights treaties inasmuch as they do not breach the fundamental tenets of international order, among them the principle of national sovereignty. States may also set up independent human rights mechanisms (courts, criminal tribunals, committees, individual experts, etc. ), but they would not necessarily feel obliged to share the interpretation of these bodies, which is likely to be inspired by a loose idea of global justice more so than by international order. Not that far from classical realism, in the English School terminology, IHRL can be seen as the product of a political tension between a certain idea of international order, defended by some states, and a certain view of global justice, advocated by independent UN experts, scholars and NGOs. Both government officials and human rights advocates would use the same terminology of IHRL (the same standards, the same provisions of the same treaties, etc. ), but they would mean different things in the above-mentioned dialectics for hegemonic contestation between utopia and apology of state action (Koskenniemi 2004 and 2005). The implications are clear in relation to the two examples given previously. While some states will resist the expansion of the international human rights regime, some others are willing to promote it to the extent that the norms are sufficiently ambiguous and do not impose heavy burdens. For example, European states were willing to adopt the International Covenant on Economic, Social and Cultural Rights with its Article 2(1), which makes clear that obligations will depend on ‘available resources' and rights are only to be fulfilled ‘progressively'. Likewise, European states endorse the R2P programmatically, provided it is made compatible with the procedures of the UN Charter, and knowing that they would not have to suffer the consequences of a foreign intervention on their soil. While scholars and practitioners in general are moved by a sense of justice, solidarity and a genuine concern for the well-being of others, the hedged realism of the English School recommends them not to disregard the fact that governments are motivated by different factors linked to order. This paper has advocated a measured change for human rights defenders and academics to open up to what realism has to offer. For the most part, realism and human rights have at the very least ignored each other. This paper, however, has shown three ways in which human rights could do better with a pinch of realism. Realism invites us to reflect on the political reasons why some claims are more salient than others in IHRL. Realism advises prudence in the use of military force. And adjacent to realism, we can conceptualise IHRL as the product of a political tension between order and justice in international society. I do not intend to twist realism to make it say what most realists would not feel comfortable with. This paper is not denying that realists are sceptical of normative values in global politics. Regardless of their personal beliefs and preferences, as academics, realists would only care about the human rights situation in other countries if that situation may result in regional instability or a shift in the balance of power. I also believe realists have a hard time explaining why states agree to the creation of independent human rights bodies they have no control over, as weak as these bodies are. I cannot imagine how they could explain the high degree of state compliance with the judgments of the European Court of Human Rights. More generally, realists cannot account for the existence of an international regime that imposes non-reciprocal obligations on states. States' human rights obligations are not borne towards each other, but towards their own people, or, even more, towards anybody within their jurisdiction. Realism is not well placed to explain the international human rights regime, and at least in their role of interpreters of global politics, realists will not become human rights activists unless they stop being realist first. However, this paper has argued that there are areas of potential strategic interaction between human rights and realism. As noted by Rosenberg (1990, 299), realists grow stronger when criticised on ethical grounds, because such criticism gives realism the opportunity to proclaim its alleged value-free condition. Let us not criticise realism for not doing what it never intended to do. As human rights scholars and practitioners, we should instead focus on engaging with realism if only to get a better sense of the different understandings of the world we intend to change. Paraphrasing Cox, ‘to change the world, we have to begin with an understanding of the world as it is, which means the structures of reality that surround us' (1986, 242). Simply ignoring the reality one seeks to transform is a guarantee of failure. Agamben, Giorgio. 2005. State of Exception. Chicago: University of Chicago Press. Bull, Hedley. 2002. The Anarchical Society: A Study of Order in World Politics. London: Palgrave. Carr, E. H. 2001. The Twenty Years' Crisis. London: Palgrave MacMillan. Cox, Robert. 1986. "Social Forces, States and World Orders: Beyond International Relations Theory". Neorealism and Its Critics, edited by Robert Keohane. 204--54. New York: Columbia University Press. Donnelly, Jack. 2008. "The Ethics of Realism". The Oxford Handbook of International Relations, edited by Christian Reus-Smit and Duncan Snidal. Oxford: Oxford University Press, 150--62. Freeman, Michael. 2002. Human Rights: An interdisciplinary approach. Cambridge: Polity. Goldberg, Jeffrey. 2016. "The Obama Doctrine". The Atlantic 317(3): 70--90. Goldsmith, Jack, and Posner, Eric. 2005. The Limits of International Law. Oxford: Oxford University Press. Halliday, Fred. 1992. "International Society As Homogeneity: Burke, Marx, Fukuyama". Millennium -- Journal of International Studies 21(3): 435--61.
International Commission on Intervention and State Sovereignty (ICISS). 2001. The Responsibility to Protect. Ottawa: International Development Research Centre. Kennan, George. 1985. "Morality and Foreign Policy". Foreign Affairs 64(2): 205--18. Koskenniemi, Martti. 1999. "The Effects of Rights on Political Culture". The EU and Human Rights, edited by Philip Alston, 99--116. Oxford: Oxford University Press. Koskenniemi, Martti. 2004. "International law and hegemony: a reconfiguration". Cambridge Review of International Affairs 17(2): 197--218. Koskenniemi, Martti. 2005. From Apology to Utopia: The Structure of International Legal Argument. Cambridge: Cambridge University Press. Krasner, Stephen. 1993. "Sovereignty, Regimes, and Human Rights". Regime Theory and International Relations, edited by Volker Rittberger. Oxford: Oxford University Press, 139--67. Krasner, Stephen. 2002. "Realist Views of International Law". Proceedings of the Annual Meeting (American Society of International Law) 96: 265--8. Landman, Todd. 2006. Studying Human Rights. Oxon: Routledge. Lettinga, Doutje, and van Troost, Lars (eds.). 2015. Can human rights bring social justice? Twelve essays. Amsterdam: Amnesty International Netherlands. Mahanty, Daniel. 2013. "Realists, Too, Can Stand for Human Rights". The National Interest, October. Mearsheimer, John. 1994/95. "The False Promise of International Institutions". International Security 19(3): 5--49. Mearsheimer, John. 1995. "A Realist Reply". International Security 20(1): 82--93. Mearsheimer, John. 2014. "America Unhinged". The National Interest, January (available on http://nationalinterest.org/article/america-unhinged-9639, accessed 31/05/2017). Morgenthau, Hans. 1940. "Positivism, Functionalism, and International Law". The American Journal of International Law 34(2): 260--84. Morgenthau, Hans. 1948. "The Twilight of International Morality". Ethics 58(2): 79--99. Morgenthau, Hans. 1965. "We Are Deluding Ourselves in Vietnam". The New York Times, 18 April. Morgenthau, Hans. 1979. Human Rights and Foreign Policy. New York: Council on Religion and International Affairs. Posner, Eric. 2014. The Twilight of Human Rights Law. Oxford: Oxford University Press. Rosenberg, Justin. 1990. "What's the Matter with Realism?". Review of International Studies 16(4): 285--303. Schmitt, Carl. 2006. The Nomos of the Earth: In the International Law of the Jus Publicum Europeaum. New York: Telos Press. Schmitt, Carl. 2007. The Concept of the Political. Chicago: The University of Chicago Press. Schulz, William. 2001. In Our Own Best Interest: How Defending Human Rights Benefits Us All. Boston: Beacon Press. Stammers, Neil. 2009. Human Rights and Social Movements. London: Pluto Press. United Nations General Assembly. 2005. Resolution 60/1. World Summit Outcome, 24 October, UN doc: A/RES/60/1. Walt, Stephen. 2016. "Why Is American So Bad at Promoting Democracy in Other Countries?". Foreign Policy, April (http://foreignpolicy.com/2016/04/25/why-is-america-so-bad-at-promoting-democracy-in-other-countries/, accessed 31/05/2017). Archie W. Simpson is a teaching fellow in Politics and International Relations at the University of Bath. He has previously taught at the University of Aberdeen, University of St Andrews, University of Stirling and University of Nottingham. He is a founding member of the Centre for Small State Studies at the University of Iceland and is on the international editorial board of the new journal Small States and Territories. His main research interests are in small states, international security, grand strategy and European politics. World News: "Realism: Human Rights Foe? "